According to a recent study by Royal Botanical Gardens, Kew, in London, the effects of climate change could cause Ethiopian Arabica coffee beans to go extinct before the end of the century. The study finds that the number of locations in Ethiopia naturally suited to growing Arabica is projected to drop anywhere from 68 percent to 99.7 percent—or extinction—by 2080. Climate change is affecting the conditions Arabica needs to grow. Higher temperatures and lower rainfall in Ethiopia are leading to warmer nights, a shorter rainy season, and significant and increasingly frequent droughts, all of which Ethiopian coffee farmers are noticing hurts coffee production. 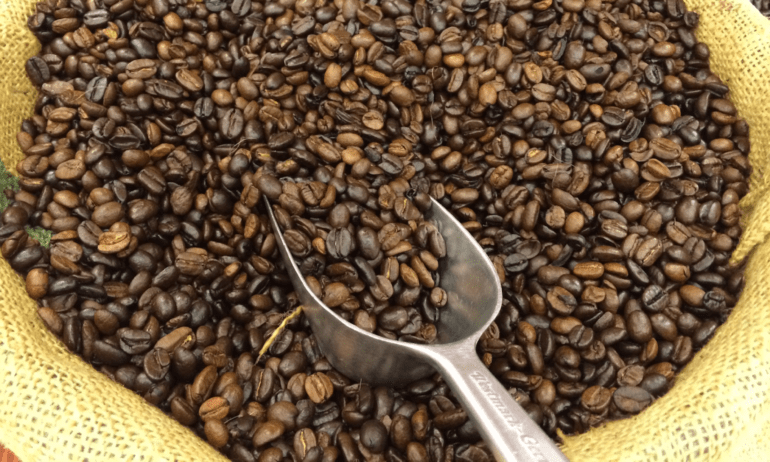 The other main coffee species, Robusta, is easier to cultivate, more disease-resistant, and cheaper than Arabica, but it typically has a sharper and more bitter taste and is far less common. Arabica is indigenous to Ethiopia and comprises nearly all the county’s coffee production today. About 15 million Ethiopians make a living as coffee farmers, and approximately a quarter of Ethiopia’s export revenue comes from coffee. The country is the world’s fifth-largest coffee producer. World Coffee Research spokeswoman Hanna Neuschwander says that coffee beans develop richer flavors when they ripen slowly, which occurs in lower temperatures. Warmer conditions speed up the ripening process, meaning that if the beans don’t go extinct as a result of climate change, they could become less tasty. The Kew researchers say that their predictions for the fate of Arabica are conservative estimates, because studying climate change does not take into account massive deforestation in the region. The authors also point out that other factors, including pests, diseases, and a reduction in bird populations to spread coffee seeds, might exacerbate the problems already posed by climate change. The researchers in the study suggest that developing other sites to continue growing Arabica could help it last through the century. Efforts to slow deforestation and climate change are important, as well. “A business-as-usual approach would be disastrous for the Ethiopian coffee economy in the long-term,” Justin Moat, a primary author of the study, told the BBC. Aaron Davis, the head of coffee research at Kew, says in the study that the research was not meant “to provide scaremonger predictions” but rather to determine how to fix the situation. He admitted the results were cause for concern. @jean @felixjun Not only does coffee play an important role in supporting livelihoods and generating income, but Ethiopia is where it all started. Coffee 'comes' from Ethiopia. If it's in trouble, it will have ripple effects on many global markets.